AnCnoc 12- A recent visit to the Guggenheim renewed my interest in all things modern. 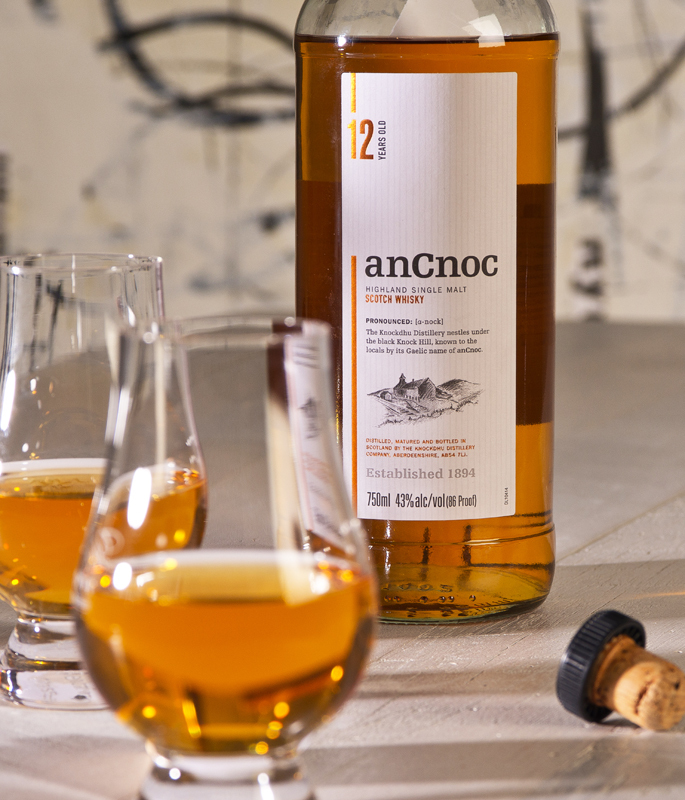 Many single malts have vintage formulas and equally stogy graphics which brings us to the artistically contemporary AnCnoc 12 produced by the good folks at Knockdhu. Gaelic for “ The Hill “, it should be no surprise that this yellow hued beauty is a highland malt. The nose was ultra crisp with a good dose of pepper and and a minor stroke of smoke. The mouth feel was clean and creamy with the usual Speyside fruit hidden somewhere deep in the composition. The lovely finish was long and lingering and the malt itself was representative of the clean and graphic label. All the essentials for a memorable drink are here and while this may not be the “ Picasso” of single malts, it is surely worth adding to your gallery…Rated a painterly 7 on the snob scale.